Get Morrowind for free, today only! Remember that you need a copy of Morrowind to be able to play Morrowind through the OpenMW and/or TES3MP engine, so if you don’t own Morrowind yet, this is a perfect chance to get it for, well, nothing. So from this day, the first builds with shadows implemented will be built. Grab the latest nightly builds for the operating system of your choice here while they are still hot, or build OpenMW yourself by following the instructions here. A few important notes though: the Windows nightlies are built at 3:00 AM, UTC. Linux nightlies are down at the moment. I’ll give you one thing though: Shadows are being reviewed and, after that, are going to be merged into the OpenMW master. Soon in a nightly near you! XACT WaveBank, used by Jade Empire. There’s two versions, a binary one (the original format, I assume) in the Xbox version, and an ASCII one in the Windows version. FMOD SampleBank, used in Dragon Age: Origins. 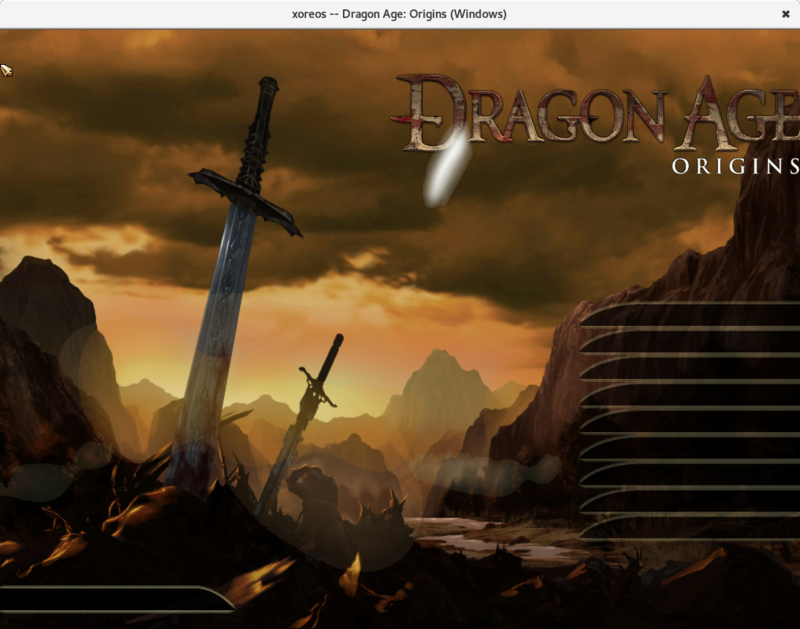 Wwise SoundBank, used in Dragon Age II. However, “wavebanks” are just one part of the coin. They’re used together with sound and event definitions, which tell you how to play the waves in the wavebank, including looping, sequencing and filters. These are still mostly missing. Nostritius has started looking at FMOD Event files, FEV, though. 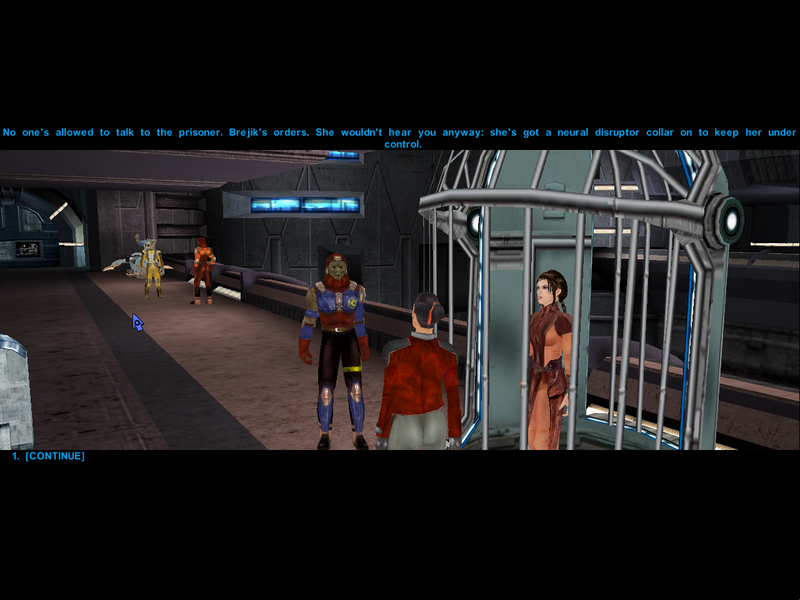 Next, I looked at the Android versions of Knights of the Old Republic and Jade Empire. I found that they contain packed data in archives. I added a tool to xoreos-tools, unobb, that can extract these. I also added probes for the extracted data files to xoreos. Nostritius also added a probe for the Xbox version of Dragon Age: Origins, and we added support for its data file differences. For the Xbox version of Dragon Age II, we’re still missing information on its ERF compression. seedhartha, in the mean time, restructured the engine code to store object references in scripts and containers as IDs, instead of plain pointers. This is necessary to correctly implement the DestroyObject script function, for example, without accidentally accessing the objects afterwards. Nostritius notified me that I had the wrong string encoding table set up for Jade Empire. We fixed that. Now non-English versions of Jade Empire should work correctly. 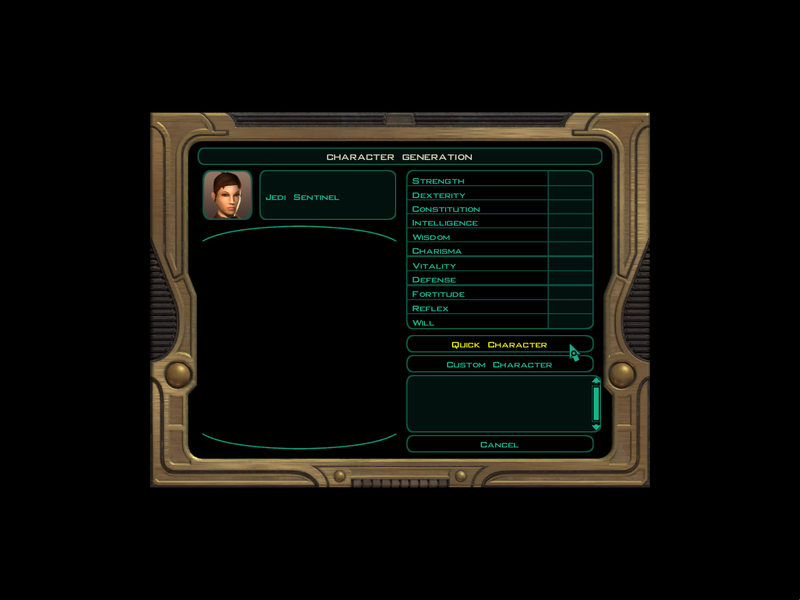 Nostritius also made Malak appear in the KotOR menu, and implemented GUI scaling for KotOR and KotOR2. Nostritius wrote several new tools for xoreos-tools: a packer and unpacker for The Witcher save files, a KEY/BIF packer, and a xml2gff tool (which means he had to write a GFF3 writer, which will be very useful in the future). I bumped the C++ version for xoreos-tools to C++11. This is kind of a test run for xoreos proper. In the future, I plan to C++11-ify the codebase quite a bit. rjshae took asr1 WIP code to fix the non-standard XML files NWN2 uses for its GUI and brought it up to speed. This means the way to implement the NWN2 GUI is now clear(er). rjshae also fixed up our common trap/trigger code, and partially implemented triggers for NWN2. 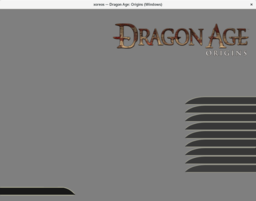 Nostritius started implementing support for the Flash-based ScaleForm GFx, which the two Dragon Age games use for their GUI. seedhartha took mirv’s WIP shader-based renderer and turned it into a clean PR, which I then merged. This means, mirv can now continue working on the new renderer in-tree, with hopefully smaller, more easily reviewable PRs to come. Finally, clone2727 reorganized our audio and video decoding code. mirv is continuing work on the new renderer. Supermanu is working on pathfinding. Nostritius is furthering our ScaleForm GFx reimplementation. xoreos wouldn’t be what it is without the help of a lot of great people, for whom I am thankful. rjshae, for taking up work on NWN2 in xoreos. asr1, for starting the NWN2 XML fixer, that’s now in xoreos-tools. 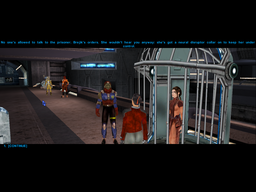 seedhartha, for working on KotOR and getting the renderer rewrite mergeable. mirv, for doing the renderer rewrite in the first place. Nostritius, for doing a heck of a lot of different things in xoreos. clone2727, for keeping me grounded. Luigi Auiremma, for all his research and tools. Supermanu, for his pathfinding work. Farmboy0, for his help and advice. The people at GamingOnLinux, a great community for, well, Gaming on Linux. Linux porters like flibitijibibo, icculus and Cheeseness, for providing this much-needed service and also being all-around good people. A myriads of other people I probably forgot, because I’m bad at remembering. Greetings! We just want to inform you all that OpenMW version 0.45 is finally in RC phase, which means it will soon be released to you all. One important thing, just so you don’t get too excited just yet: neither shadows nor recastnavigation (better AI pathfinding, basically) will be included in the release, even though we all hoped so before. Don’t get too sad though, because recastnavigation is actually merged in master. This means that you can try it out already today in the latest nightlies! The implementation of shadows is not merged yet however, and it is very hard to say exactly when it will get merged, but probably quite soon . Some bugs take longer time than you might expect before they are solved. Continue reading "Thank You, Zack Middleton (zturtleman)"
Please read full post, there’s more information there. Thank you, Zack Middleton (zturtleman). If you would like to thank ZTM, please contribute to his Ko-Fi. Fashionably (?) late, but still finally there, a new release of xoreos arrives! xoreos 0.0.5, nicknamed “Dawn Star”, coming with xoreos, xoreos-tools and for the first time, Phaethon, an in-progress graphical resource explorer. A lot has happened in the last two years. A busy real life unfortunately made me miss the yearly “Not-Thanksgiving” progress report last year…so this here will be a kind of combination release post and progress report. Buckle up, this will be a long one. If you’re only interested in the short release notes, move on to the GitHub release pages linked above and again at the bottom of the post. Cool? Cool. So, continuing from the last progress report in 2016, what exactly has happened? Back then, I said I was working on unit tests for xoreos, planning to make them public in December. I did that, and then merged them in February 2017. Since then, several more have been added and bugs were found (and prevented) with them. I consider them a huge success and a boon to the codebase. However, the coverage is nowhere near 100%. Pull requests adding new unit tests to existing code are always welcome ;). , I realized that the lightmaps in Jade Empire are also swizzled. They’re even swizzled in the same way, so I could just reuse the deswizzling code, and voilà, now that texture variant is correctly read. 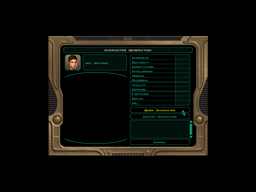 Next up, Farmboy0 and Nostritius both worked on the GUI systems in Jade Empire and the two Knights of the Old Republic games. 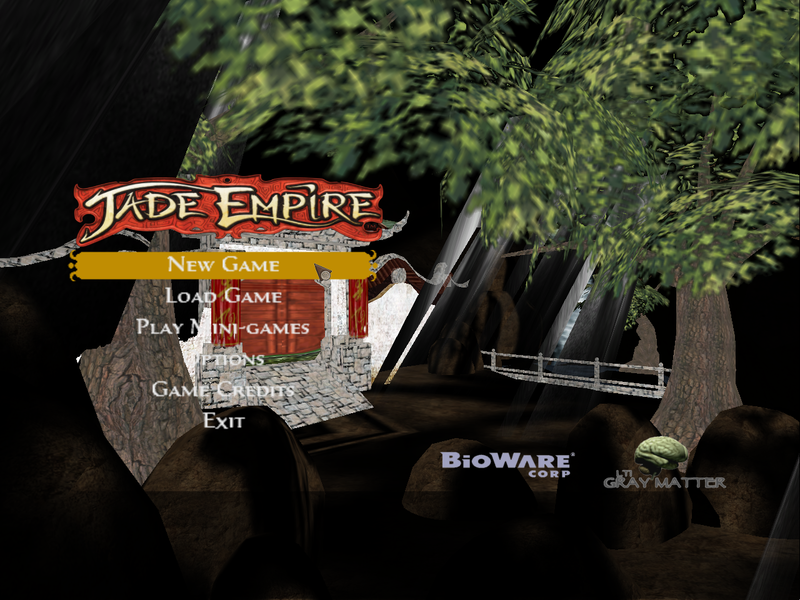 Jade Empire now has a partially working main menu (with dressupgeekout submitting pull requests to make the “Exit” button work and enabling background music), and the Knights of the Old Republic games gained character creators and partial in-game menus. Speaking of Knights of the Old Republic, these two games are progressing quite a bit, thanks to seedhartha. They now have a fully working animation system, PC movement (with walkmesh evaluation based on Supermanu’s work) and even initial dialogues. 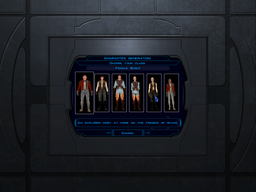 In fact, the first game already shows a semblance of the first few minutes of tutorial on the Endar Spire, with your bunk mate telling you grab your gear from a chest and equip it. 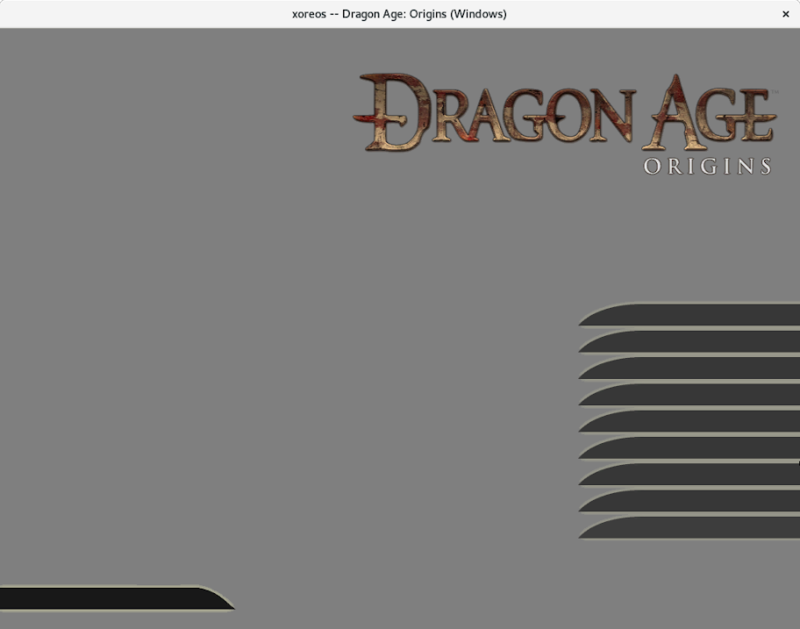 For the Dragon Age games, Nostritius implemented an ActionScript interpreter. Together with a renderer for Adobe Flash vector graphics (still work in progress), this will be a reimplementation of Scaleform GFx. 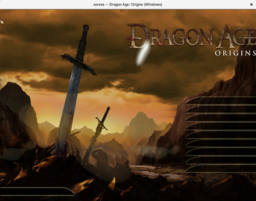 Scaleform GFx is used for the user interface, like menus and quickbars, in Dragon Age: Origins and Dragon Age II. Note that the vector renderer is not yet in the public xoreos codebase and that the screenshot below is more of a proof of concept. On the xoreos-tools side of things, I added two new tools, ssf2xml and xml2ssf. ssf2xml takes a sound set file (SSF), as used by the two Neverwinter Nights and the two Knights of the Old Republic games and converts it into a human-readable XML file. xml2ssf is the counterpart, taking an XML file and converting it back into a game-readable SSF file. Nostritius then added a third new tools, erf, an ERF packer. It is the counterpart to the already existing unerf tool. Where unerf extracts files from ERF archives, erf takes files and creates a new ERF archive. 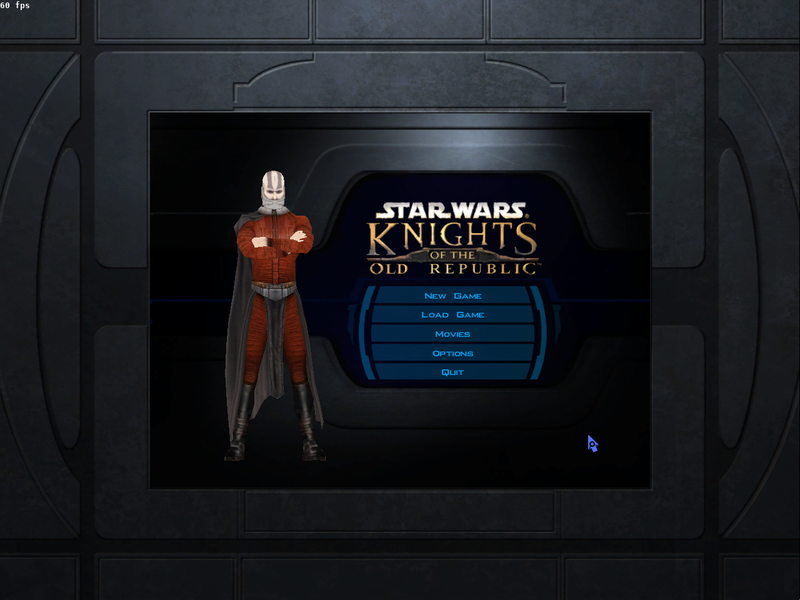 Unlike the unerf tool, erf currently only supports version V1.0 of the ERF format, as used by Neverwinter Nights, the two Knights of the Old Republic games. Jade Empire and The Witcher. Also on xoreos-tools, cosmo-ray unified the parameter handling. This massively cuts down on code duplication in the tools and removes a potential source of mistakes. Moving on to the third package, Phaethon. 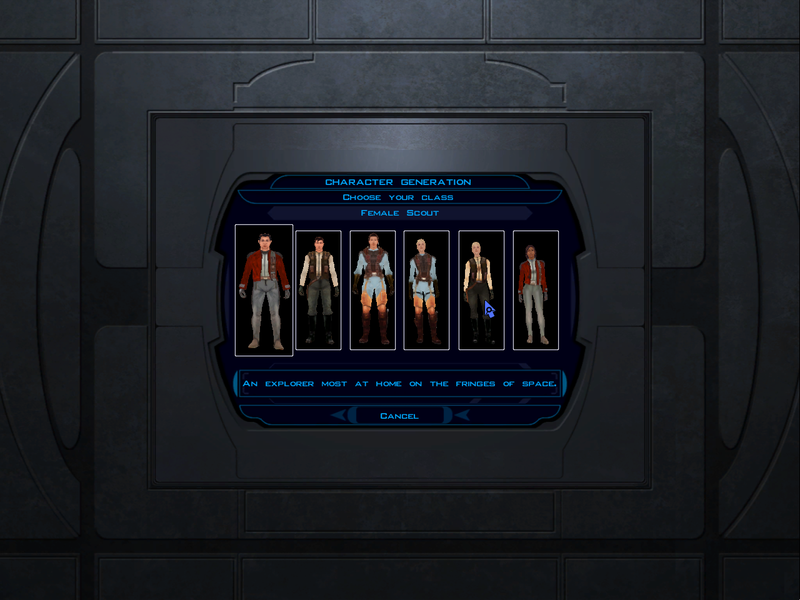 Phaethon is a graphical resource explorer, able to look into the archives found in the BioWare Aurora games and display several different types of resources. Previous xoreos releases didn’t mention it, but it has existed for several years already now. Of course, it’s still far from finished and could use more contributors. 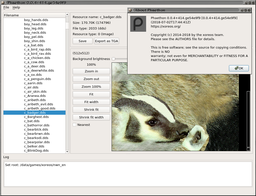 In the past, Phaethon used the wxWidgets libraries for the GUI. But I was never really happy with it; I never managed to get widget placement to work consistently across platforms (or even just across different window managers on Linux). I always hoped to rewrite it in Qt some day. Therefore, I was really quite happy that michaelpm54 did that work for me, rewriting Phaethon to use Qt5. I’m now far more comfortable providing Phaethon release packages along with xoreos and xoreos-tools. However, due to us using Verdigris to compile Qt5 applications without moc, Phaethon now requires a C++14-capable compiler. My local cross-compilers, the ones I use to create the binary release packages for Windows and macOS (and the chroot I use to build the Linux packages), didn’t have that. Consequently, I had to update my cross-compilers and chroot. I did that, and now I can create working binary packages for Phaethon on these operating systems. And this also opens up a path to let C++11 features into the xoreos codebases in the future, something which I had been thinking about for a while now (currently, apart from Verdigris in Phaethon, all of the xoreos codebases are C++03-compliant). On the other hand, also on the packages front, I dropped the openSUSE Build Service (OBS), the service that builds binary packages for a number of Linux distributions. I simply do not have enough time to keep the build specifications there up-to-date. Especially since every time a new distribution release is added, it requires me to invest several days worth of work to get them to build. Anybody willing to take over that task and officially administrate the xoreos OBS specs, please contact us. Last but not least, there were also, of course, a lot of code quality improvements. Many of which were triggered by the introduction of new compiler warnings flags, new compiler instrumentations and static analyzers. I’m really grateful for all the options I have for checking the xoreos codebase, grateful for all the amount of work done by the gcc and clang/llvm people, and all the services offering free access to FLOSS projects. And that’s about it for the past two years. Many improvements, but also still many things left to do. There’s several things cooking, but I’d rather not jinx them ;). In either case, I’ll try getting out the next release relatively sooner. Sources and binaries for Windows, GNU/Linux and macOS are attached to the GitHub release, here for xoreos, here for xoreos-tools and here for Phaethon. Additionally, the repository and the source tarballs contain PKGBUILD files in dists/arch/, debian build directories in dists/debian/ and spec files in dists/fedora, which can be used to build Arch Linux, Debian/Ubuntu and Fedora packages, respectively. 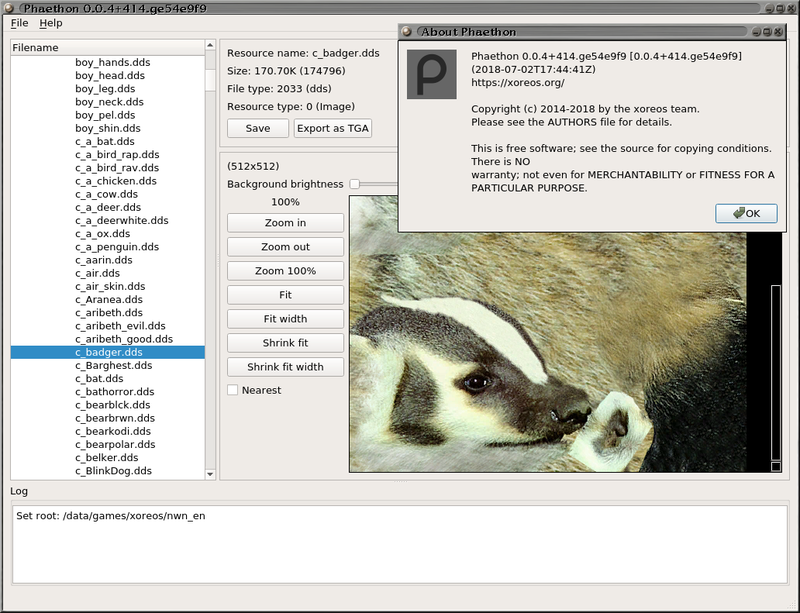 Alternatively, the PKGBUILD files are also in Arch Linux’s AUR (here for xoreos, here for xoreos-tools, here for Phaethon, and we have a Gentoo overlay.